The Stillwater County Commissioners have issued an update on the Stillwater River Road rockslide. Standing rock from the slide has closed the road to through traffic from Absarokee to Nye since June 3, 2015. According to the update, Stillwater County has awarded a contract to HI TECH Rockfall Construction, a general contractor specializing in rockfall mitigation and slope stabilization systems located in Forest Grove, Oregon. removing any rocks which land or come to rest in the channel of the Stillwater River below the ordinary high water mark. Work will begin on January 9, weather permitting. Once the project has begun, the contract allows for a sixty day project time, with possible delays for poor weather. When the work is complete, the road will be reopened, approximately two years after the slide occurred. Not a shining example of effective county government, but residents will welcome the completion of the work. The County Commissioners ask that residents recognize that this is dangerous work, and request that people stay out of the area while the work is being performed. The Commissioners have updated the status to indicate that work on the road project is delayed due to weather conditions. Work is now scheduled to start on February 20. I received a communication from County Commissioner Mark Crago that the start of work has been postponed to March 27. On March 23, 2017, DES State Hazard Mitigation Officer Nadene Wadsworth was in Columbus to discuss progress on the FEMA grant for the rockslide project. The FEMA grant is a “Pre-Disaster Mitigation” grant or PDM grant. Stillwater County began the application process for this grant in May 2016. Please recall Stillwater County also applied for this type of FEMA grant in 2015 but the application was denied so the County had to re-apply again in 2016. As with most grant requests, it is a time consuming process. 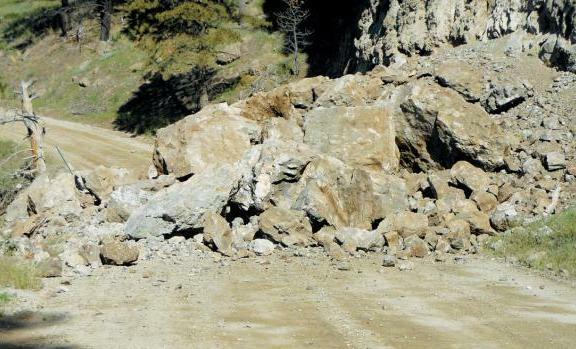 Stillwater County’s rockslide project was one of ten grant applications received from various entities in Montana in 2016 and fortunately, Stillwater’s project was identified as one which FEMA wanted to further review. The grant applied for is $1.86 million dollars. At this time, FEMA is conducting a final environmental review of the proposed project. According to Officer Wadsworth, this review is progressing well because the grant application contained a great deal of environmental information. The only minor set-back has been with the area the County identified as the dump site for the rocks from the project. The original site was to be at the Moraine Fishing Access, however, FEMA determined the site has tipi rings, and is a protected area. Once the County was given that information, the County worked with Stillwater Mine to locate an alternative site for the rocks. The County has now proposed an area near the Mine’s Hertzler Tailings Pond and is awaiting FEMA approval. The County stands ready to begin the project, however, the County cannot begin actual rock-moving work until the PDM grant has been officially awarded. 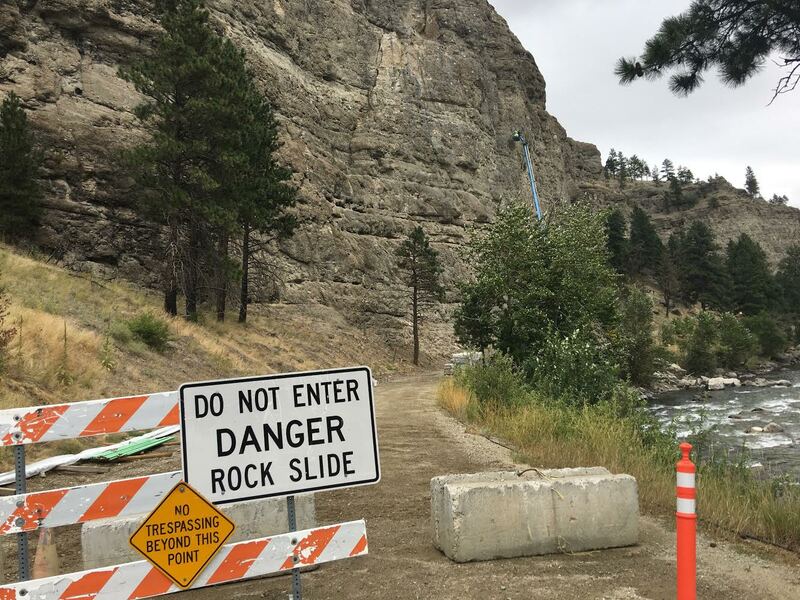 Crews were slated to begin rock removal this week, however, if crews were to begin now, the grant award of $1.86 million could potentially face denial. The projected costs of the rock project is at $2.48 million so the grant award is a crucial component. The County Commissioners and Mark Schreiner expressed concerns about this delay to Officer Wadsworth. She fully understands that all of you have been waiting for a resolution for a long time and assures the Commissioners, they are working as quickly as possible on their end to get this process finalized. The County remains hopeful FEMA will provide us an answer within the next few weeks so work can begin. Everyone understands that weather and government grants can slow things down, but the County is wildly inconsistent in its communications on this project. 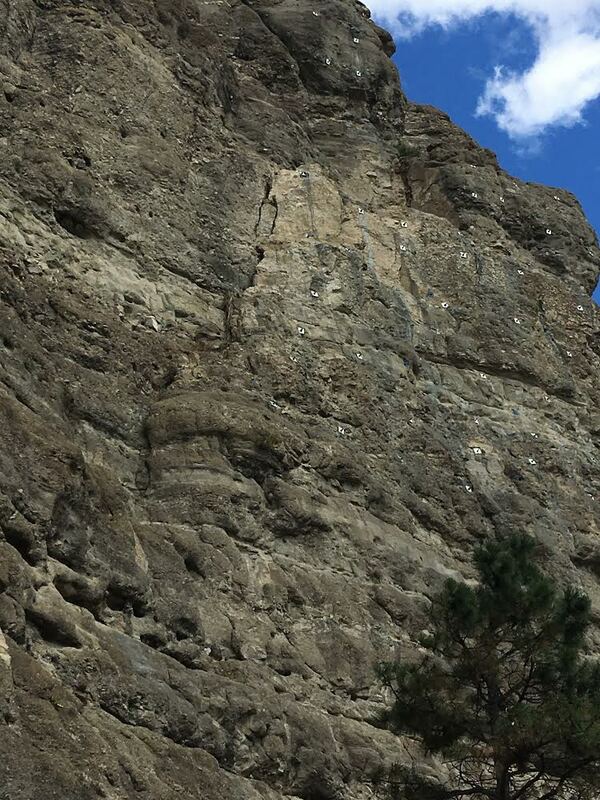 Update, May 16: The Billings Gazette today published an article on the rockslide, linking to this blog and quoting local residents Jerry Sternad and Shirley Stafford. Update, June 22: Stillwater County has published the work schedule for opening Stillwater River Road. Work is scheduled to begin on Monday, July 24, and is to conclude four weeks later with the opening of the road on Friday, August 18. The existing rock debris will be cleared in the first week. The largest amount of time will be spent removing (scaling) loosened and/or unstable blocks of rock from the cliff and building a containment system to prevent the scaled material from getting into the river. If the work is completed on schedule, the road will be opened 807 days from the original rockslide. Work schedule submitted by Hi-TECH Rockfall Construction. Click to enlarge. Update August 16, 2017: The road has been opened and is available to through traffic! Last update September 17, 2017: A friend sent this photo of the rockslide from the air. I’ll post it for posterity’s sake, and because it shows off the beauty of this section of the Stillwater River. The rockslide looks pretty insignificant from this vantage point, yet it took 805 days to clear. Go figure. 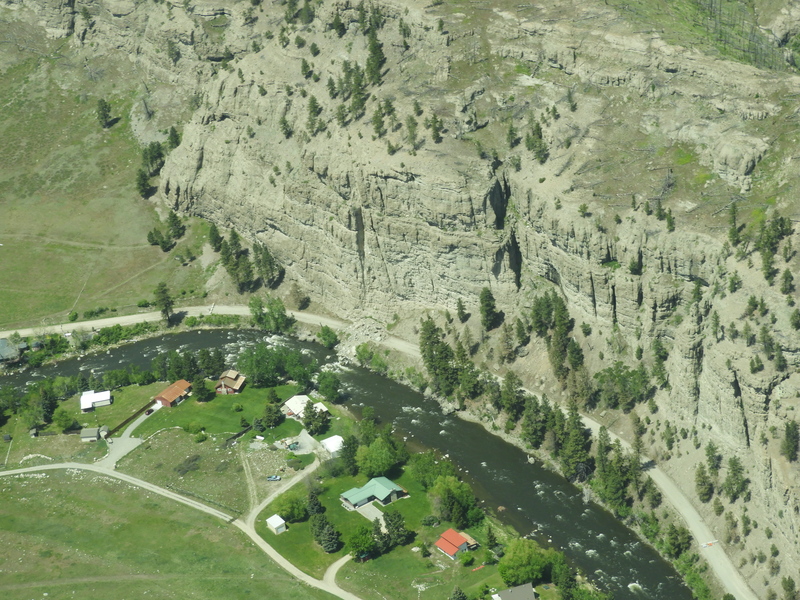 This is to notify you of the upcoming closer of Stillwater River Road between Midnight Canyon Bridge and Beartooth Land Office, approximately 12 miles from Absarokee. The road will be closed starting May 29 th and remain closed until Aug. 15 th . 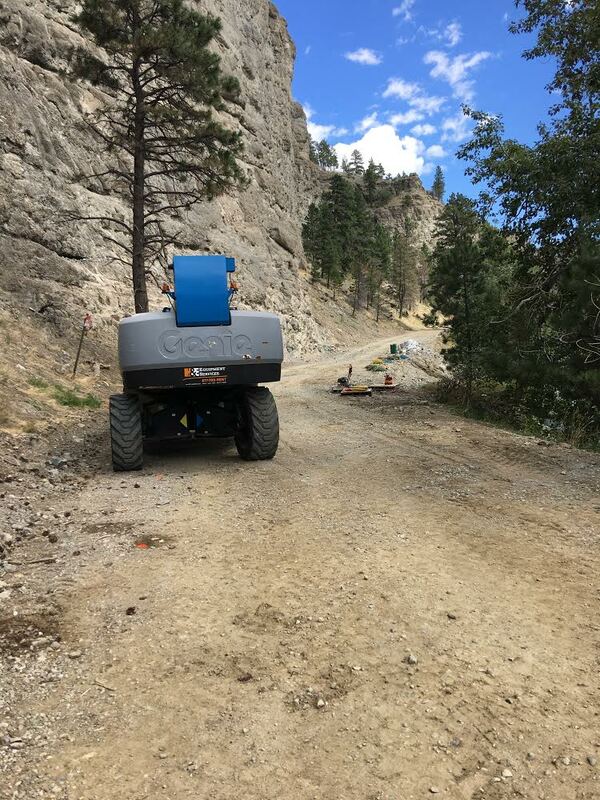 final work on the Stillwater River Road Rockslide project. 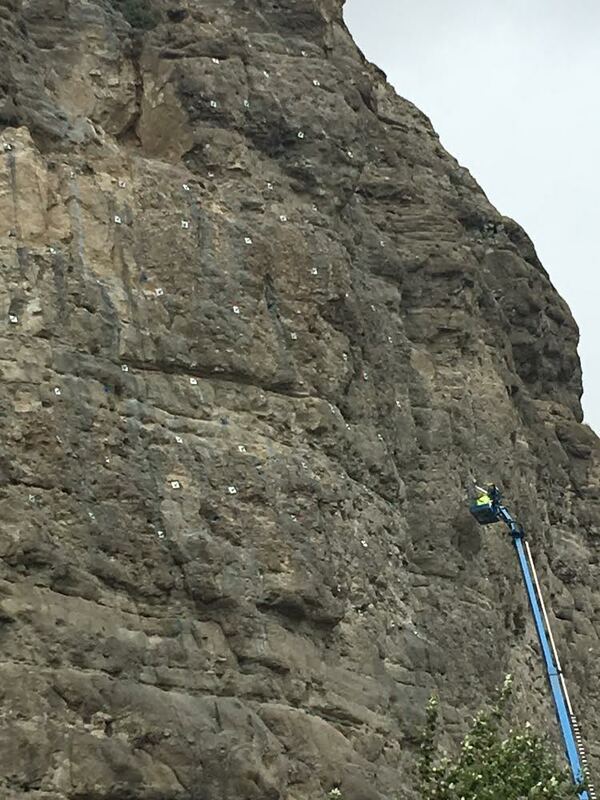 This portion of the work will be bolting and netting of the rock face. We ask that you please stay clear of the area as there will be repelling, heavy equipment work, and some rock scaling in the area. Sorry for the inconvenience of the road closure and thanks in advance for your cooperation. As I’m sure you are aware if you’re reading this, we are past the opening date and the work is still not completed. This same notice is posted on the Stillwater County website, and the opening date has been changed to August 29. Whether that’s still the case I have no idea. Below are two photos I took this afternoon. To my uneducated eye, it looks like the work is relatively close to completion, but it doesn’t look like there is a chance they will hit the August 29 deadline. The quality of communication coming from the Commissioners remains inadequate. I can live with the misspellings. The concern for information provided to residents is another story entirely. “Close enough for government work” is not a phrase I think elected government officials should embrace. A truck drove past our place this morning going away from the slide area with a bunch of equipment, so I did a little more research. I drove down again and talked to one of the workers, and he told me they were pretty much done with their work, and that it’s now up to the County as to when the road opens. I called the County Road and Bridge Department, and they told me they hoped to have the road open “in a couple of weeks.” So that’s where we stand. Since the ball’s now in the County’s court, it would be nice if they updated the website. Not that anybody’s counting, but it’s been 1186 days since the rockslide. And a photo looking up at the rock face. The worker told me the spiked points are the bolting. I’m not sure what Commissioner Crago was referring to when he described the netting. 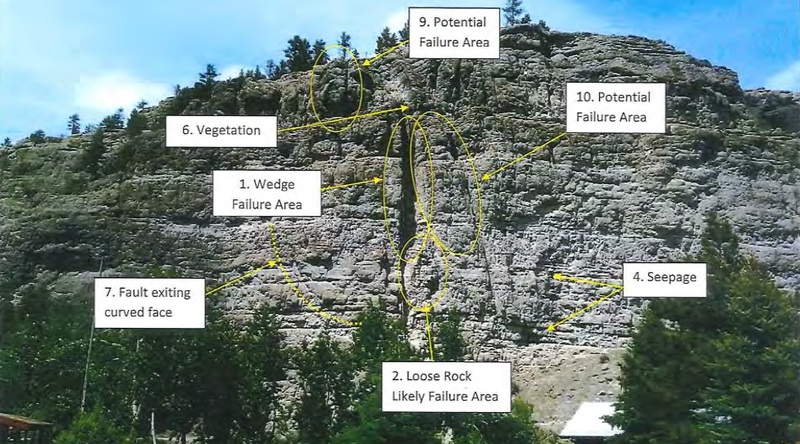 I stopped by the road closure site a few minutes ago, and learned that it’s Nemont doing some work to replace the fiber optic & copper wires that got broken again when the big 100 ton boulder was intentionally dislodged from the cliff this summer as part of the planned safety measures. Nemont is hoping to be able to find the break(s) in the fiber optic so that they only need to dig up/re-bury a short segment of line. If they can’t find the break they will need to dig a 50″ deep trench of a much greater length. September 13, 2018. The road is open, 1198 days after the rockslide. This entry was posted in Uncategorized and tagged rockslide, Stillwater River Road. Bookmark the permalink. Yeah, but is the work guaranteed after earthquakes caused by fracking? Does that mean you’re hoping that climate change reverses?